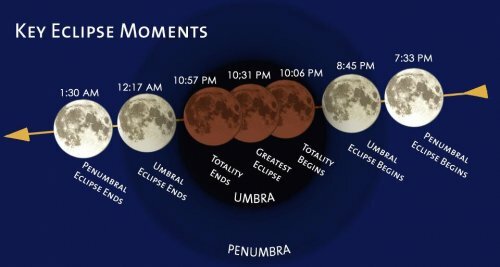 This is a good opportunity to observe the total lunar eclipse from Malaysia. If you miss this one, you'll have to wait another 3 years for the next one. The USM Astronomy Club will be organizing a special observation event. Contact Dr. Chong 016-315 7318 for more information.